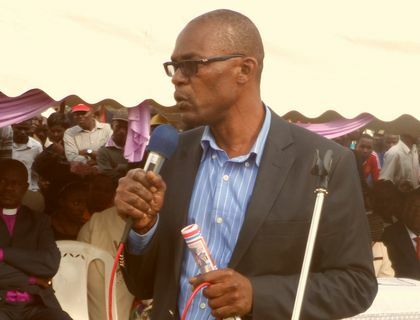 Tongaren MP Dr Eseli Simiyu has hinted that Kenya may have another rough time come 2022 general election. According to Simiyu DP Ruto’s interest in the presidency may cause turmoil in the election because of the incumbency factor. In addition he said, it is always almost difficult to fight off politicians who have State power at their disposal during elections. For the last couple of months DP Ruto has been fighting tooth and nail to ensure he clinches the presidency in 2022 after President Kenyatta retires despite spirited efforts from opposition politicians and a section of leaders from Mt Kenya region who are against his attempt to ascend to State House. In Kenyan elections, almost every poll in which a President is stepping out of office registers incidents of violence, the latest being the 2013 election when then President Mwai Kibaki was leaving office. Already, some elected leaders from Ruto’s Rift Valley backyard are accusing their Central Kenya counterparts of insincerity since the pact signed by Ruto and Uhuru in 2013 said Uhuru would back Ruto in 2022. Some Mt Kenya MP are de-campaigning Ruto.